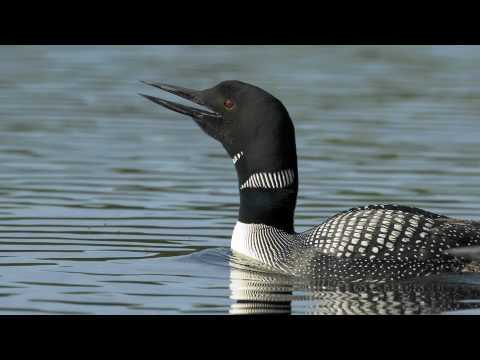 Have you ever heard a Common Loon yodel? What about hoot, wail or tremolo? Not sure what a tremolo is? Or let’s rewind—not even sure what a Common Loon is? The Common Loon (also known as the Great Northern Diver or Great Northern Loon) is large member of the loon family of birds. The Common Loon breeds in Canada, parts of the northern lower-48 states and Alaska, and Greenland. But these Common Loons (known for their haunting calls) and their young are in jeopardy from the toxic mercury pollution that travels in the air from coal-fired power plant smokestacks, and accumulates within the northern lakes where loons breed. We have the power to reduce harmful pollution threatening loons by advocating for the strong mercury limits proposed by the Environmental Protection Agency. Take action to protect loons from mercury pollution, today! The EPA’s proposal would limit the mercury and air toxic pollution that comes from power plants – the country’s largest source of these toxic emissions. Right now, mercury pollution in the air contaminates our lakes, rivers, oceans, and forests. After landing in streams and rivers, a form of mercury called methylmercury builds up in fish and the wildlife that eat fish. The risk of mercury exposure also extends to terrestrial species such as songbirds, bats, spiders, and amphibians. Mercury has many damaging effects on wildlife species. Fishincluding trout, bass (large and small mouth), northern pike, carp, walleye, salmon; birds such as the Common Loon, white ibis and great snowy egret;and mammals like the mink and river otters, have all been found with harmful levels of mercury accumulation. The effects of mercury in fish, birds and mammals range from reproductive to behavioral. In fish there is a concern for reproductive issues and how this could mean a lower fish population in the future. Common Loons do not know the fish they are eating are poisoned, and unlike us, cannot avoid foods with high mercury. After years of eating mercury-laden fish, loons with high mercury levels face difficulties that impact their ability to survive and for their young to survive. The more mercury they are burdened with, the more likely they are to spend less time at their nest taking care of their young, and the more likely they will even have asymmetrical feathers that make their long migration flight more difficult. Both the mink and river otter in New England have been tested for mercury, and incredibly, studies have found levels of mercury in their bodies associated with severe effects including mortality. Wildlife are obviously suffering from mercury pollution. What can we do? We can support the EPA’s proposed air toxic ruling that will put limits on the amount of mercury that coal-fired power plants can put into our air and water. Now is the time to speak up for wildlife such as the Common Loon. You can help make sure their haunting yodel is not lost in our northern wild places from mercury pollution.